Autumn constellations are the constellations that are best observed in the night sky from late September to late December in the northern hemisphere and from late March to late June in the southern hemisphere. Autumn is a good time to see a number of notable constellations, including the zodiac constellations of Aquarius, Aries and Pisces, and the constellations in the Perseus family: Andromeda, Perseus, Cassiopeia, Pegasus, Triangulum, Cetus and Cepheus. 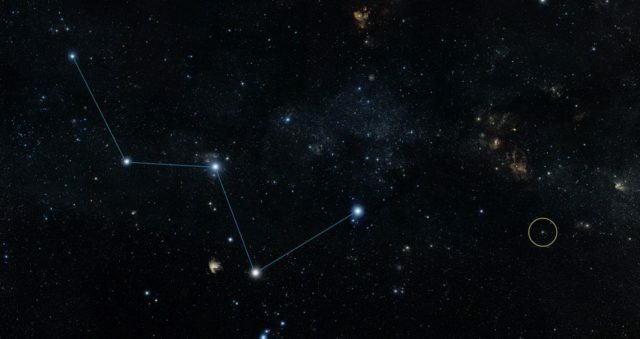 Cassiopeia’s W, the Great Square of Pegasus and Lacerta’s zig-zag shape make it easy to find them. Andromeda, located right between the W and the Great Square, is best known for the Andromeda Galaxy (M31), the nearest major galaxy to our own, the Milky Way and the most distant object visible to the naked eye. The galaxy is so large that it appears as a small cloud in binoculars and can be observed and photographed even in small telescopes. The smaller satellite galaxies Messier 32 and Messier 110 require larger telescopes. Alpheratz, the brightest star in Andromeda, is a double star that was once considered to be part of both Andromeda and Pegasus. It marks the northeastern tip of the Great Square of Pegasus. The asterism, which represents the main body of the celestial horse, makes Pegasus easy to spot. Pegasus is the seventh largest constellation in the sky. It contains a number of notable stars and deep sky objects, among them 51 Pegasi, the first Sun-like star discovered to have an orbiting planet, the bright globular cluster Messier 15 (Great Pegasus Cluster), the spiral galaxy NGC 7331 and the two unusual deep sky objects, the gravitationally lensed quasar known as Einstein’s Cross and Stephan’s Quintet, a striking visual grouping of five galaxies. Perseus is home to the famous eclipsing variable star Algol, two Messier objects – the bright open star cluster Messier 34 and Little Dumbbell Nebula (M76) – as well as to the famous Double Cluster, the California Nebula (NGC 1499), and many other interesting deep sky objects. Cassiopeia’s brightest stars form a prominent W shape, which makes the constellation very easy to find. Like Perseus, the constellation is located in a rich section of the Milky Way and harbours a number of notable deep sky objects. These include the Messier open clusters M52 and M103, the Owl Cluster (NGC 457), the White Rose Cluster (NGC 7789), and the open cluster NGC 663, the emission nebula NGC 281 (Pacman Nebula), the large Heart and Soul Nebula complex, the supernova remnants Cassiopeia A and Tycho’s Star, and the elliptical galaxies NGC 147 and NGC 185. Triangulum is one of the smallest constellations, but easy to find in good conditions. Located just under Andromeda, the constellation has the shape of a long, narrow triangle. It is best known as the home of the Triangulum Galaxy (M33), the third largest member of the Local Group, after Andromeda and the Milky Way. Like the Andromeda Galaxy, M33 is one of the most distant deep sky objects visible to the naked eye, but it requires significantly better viewing conditions to be spotted without binoculars or a telescope because it is much more diffuse than Andromeda. The zodiac constellations Pisces and Aquarius are among the largest constellations in the sky, 14th and 10th in size respectively, and can be easily identified by two prominent asterisms, the Circlet of Pisces and the Water Jar. The Circlet of Pisces, which represents the head of the Western Fish, is located between the Great Square of Pegasus and Aquarius constellation. The nearby Water Jar, a Y-shaped asterism also known as the Urn, represents the cup Aquarius, the Water Bearer, is holding as he pours water into the mouth of Piscis Austrinus, the Southern Fish. Aquarius contains several bright Messier objects – the asterism Messier 73 and the globular clusters Messier 2 and Messier 72 – as well as the famous Helix Nebula, Saturn Nebula and Atoms for Peace Galaxy (NGC 7252). Pisces is home to the Phantom Galaxy (M74), a face-on grand design spiral galaxy visible even in large binoculars. Piscis Austrinus, the Southern Fish, is relatively inconspicuous, but notable for containing Fomalhaut, one of the brightest stars in the sky. Fomalhaut is a white main sequence star located only 25 light years from Earth. It has a visual magnitude of 1.16. The southern constellation Octans is invisible to northern observers, but can be seen from southern latitudes throughout the year. The constellation is home to the Southern Celestial Pole, which is located about a degree from the star Sigma Octantis, also known as Polaris Australis. With a visual magnitude of 5.42, it is the pole star in name only, as it can barely be seen by the naked eye. 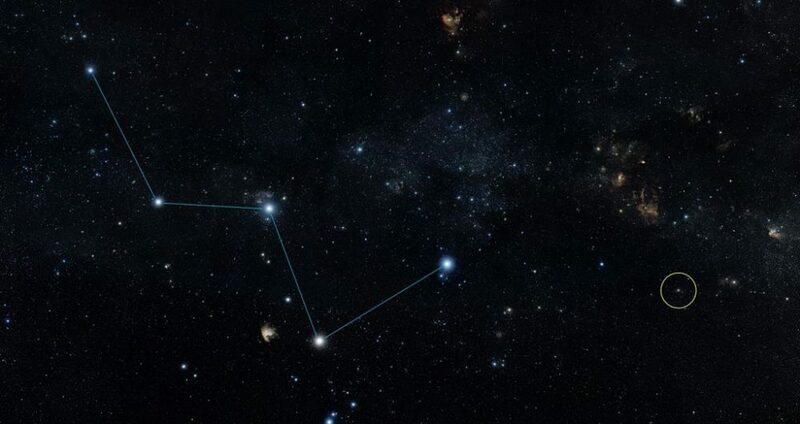 Instead, the much brighter Southern Cross is used to determine the position of the pole. Tucana, which cannot be seen from locations north of latitude 25°N, does not contain any particularly bright stars, but is home to several interesting deep sky objects. It contains most of the Small Magellanic Cloud, the bright (mag. 2.7) dwarf irregular galaxy which is one of the Milky Way’s closest neighbours and appears as a fuzzy patch about 8 times the Moon’s diameter that is often confused for a piece of the Milky Way. Tucana is also home to 47 Tucanae, the second brightest globular cluster in the sky and one of the most massive clusters in the Milky Way. With an apparent magnitude of 4.09, it is dimmer only than Omega Centauri. The cluster appears adjacent to the Small Magellanic Cloud, but is in fact more than 15 times closer to us than the galaxy. 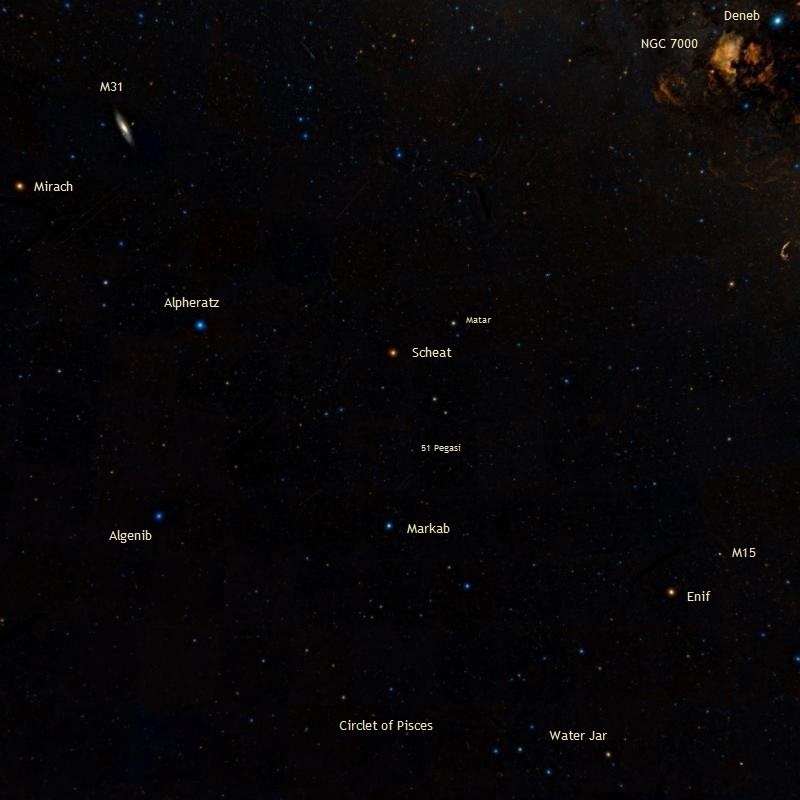 Southern autumn constellations (below) correspond to northern spring constellations.